Hello and Happy Summer to You! Wow, does it really feel like summer now or what?! 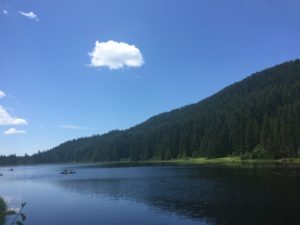 This hot, hot weather has gotten me jumping in the pool in town and getting out to hike in the cooler air of the mountains. As I jump into summer gear, I am feeling some aches and pains, like rusty hinges needing some fresh oil to get going for the season. Can you relate? If you could use some oil in your joints, relief in your back and neck, a reset on your hips and shoulders, and general relaxation throughout yourself in order to make the most of your summer, then come check out this class series. Each class is unique and independent, focusing on a functional movement pattern that will provide surprising insight and delicious relief with very little effort! Gentle, slow movements gives you time to reorganize yourself in an organic, surprisingly easy, and restorative way. 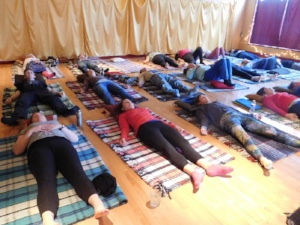 All you have to do is show up, lie down on some comfy blankets, and follow along as I guide you through tiny movements that build into an elegant, biologically meaningful sequence, leaving you feeling looser, taller, and ready to play this summer! I am humbled and delighted each time a student comes up to me after class to share what a difference this method has made in their lives. In the last series, a new student, who is in constant pain from the moment she wakes up until she lies down at night, found ways to have periods of relief. That’s right! She has times with no pain and is better able to manage the pain she experiences. She has tools to quickly reorganize herself from the inside out in a sustainable way that her awareness continues to solidify into her new norm. Another student has been taking class with me for the last three series, and he has gone from constant, debilitating pain from herniated discs and stressful compensation patterns to knowing how to relieve his pain in an effective, lasting way. He understands more of the connections between different parts of himself and how the overall patterns are contributing to pain, and now has the knowledge and power to disrupt the old patterns and allow something new to come forward. A new way of moving through the world that doesn’t incite the same old difficulties, but rather allows for freedom and ease! Sounds good, right? Are you ready to feel the difference, too? I can’t wait to hear your story of transformation from this powerful class series! Let’s get started on Friday, June 29! With slow, gentle, subtle movement, you will discover a profound realm, where you can change the neural pathways of your brain to have more flexible, fluid, and energy-efficient patterns. 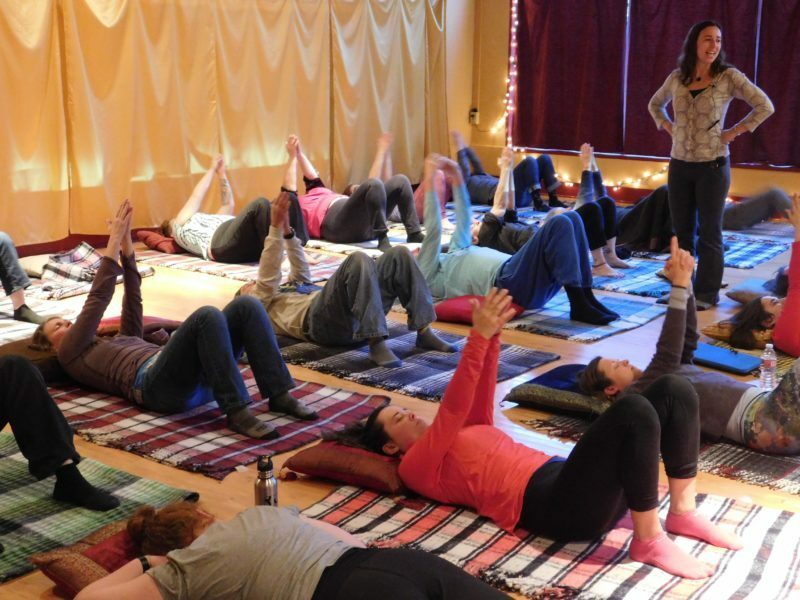 This class is for the movement curious, anyone who is ready to expand your ability to feel and know yourself, while feeling more comfortably in your body. In these classes, you will be led through gentle, easy movement sequences, that will give your brain the necessary information to start using new movement habits and get out of the old painful patterns. You will leave class feeling lighter, more flexible, and taller. You will have a sensation of effortless – what a relief! Location: SomaSpace, 4050 NE Broadway St, Portland, OR 97232.
or bring cash, check, or card to the first class this Friday! 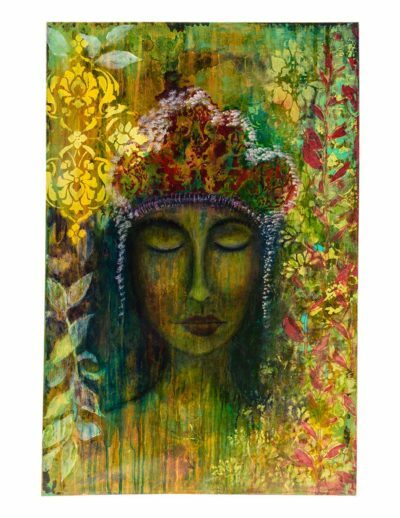 This art showcase is inspired by my journey back to myself as the sacred feminine, and beyond. My medicine is your medicine. As I heal, you heal. My expression comes from my intuition, my ability to feel energy and easily access the soul. I blend the tangible with the intangible. By touching the paints, the brushes, the canvas, it evokes intuitive responses and impulses, a way of remembering. I engage with the unique energy present at the moment of creation, and allow it to unfold organically. My passion is the search for truth, the energetic pull of beauty, the soul made visible. For me, painting is direct communication with the unseen. An invocation to cosmic forces and beings that inhabit multidimensional realms. The multiplicity of energy and spirit takes shape and assembles into vibrational forms. 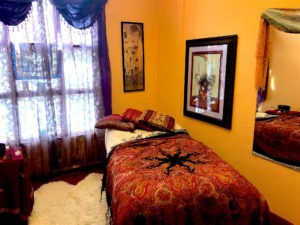 Vibrant healing energy is harnessed and channeled into the images. They alchemically shift and heal the energy field of the viewer. They are medicine for the soul. Guest Blog with Ryan McLaughlin, L.Ac. This February 2018, we will witness mentionings and celebrations of the Chinese New Year. The Chinese New Year is based around the moon cycle, and is a celebration of the Lunar New Year. 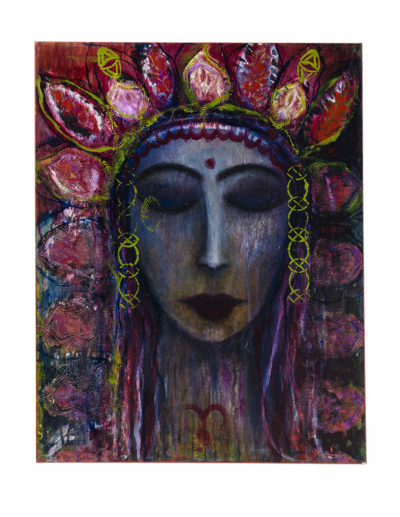 Each year, we pass through to a new zodiac sign that has a lot of symbolic language attached to it. Through exploration of the symbols, we can begin to understand themes we may encounter in our lives throughout the year. This calendrical science gathers information from the cycles and interactions of the 10 Heavenly stems and the 12 Earthly branches. Hang in there with me. The 10 Heavenly stems – Jia, Yi, Bing, Ding, Wu, Ji, Geng, Xin, Ren, and Gui – each represent a yang or yin quality of one of the five elements- wood, fire, earth, metal, and water. Yang precedes, and alternates with yin as we move through the cycle. The elements are arranged in a generating cycle, meaning each element feeds the next- wood generates fire, fire generates earth (ash), and so on. When either yang or yin combine with an element, we arrive at the individual Heavenly stem that describes the energy of a period of time. These stems are said to embody the way of the Heavens. The 12 Earthly branches- Zi, Chou, Yin, Mao, Chen, Si, Wu, Wei, Shen, You, Xu, and Hai- correspond to the zodiac when used to measure years, and represent the embodiment of an element on Earth. Each Earthly branch can also be categorized by a yin or yang nature of one of the five elements, and is also describing a period of time. From a bigger picture perspective, we can notice that there will be 60-year cycles weaving together the 10 Heavenly stems and 12 Earthly branches. By understanding the symbolic and directional nature of yin/yang and each element, we can deduce information about the interactions of the Heavenly Stems and Earthly Branches that will inform our understanding of a particular cycle. In February 2018, we are entering the year of Wu Xu– year of the Yang Earth Dog. Wu is the Heavenly stem representing Yang Earth. Generally speaking, yang is the energy that precedes the material form, or yin. Yang describes the energy of expansion and creation, allowing for Wu- Yang Earth- to hold much potential for change in areas of our lives governed by the element of Earth. The Earth element, from the Chinese Medicine perspective, is all about home, the mother, transitions, containment, grounding, intention, receiving nourishment, movement of the limbs, and digestive processes. From an organ network perspective, we are looking at the Stomach- though Spleen and Pancreas are loosely associated, as the yin counterparts of the Earthen trio. The changeable nature of yang can put these areas of our lives in a potentially flourishing or potentially vulnerable place, depending on our own individual constellational makeup. In Wu, there is a heightened energy around the moveable, changeable aspects of Earth in Lunar 2018. We may witness more instances of changing places of residence, need more focus to stay centered and grounded, increase chance of earthquakes and landslides, digestive and metabolic disturbances, and cells potentially changing in a cancerous direction. This is also a time where the home environment may flourish and our gardens be abundant. Through understanding the nature of Wu, we can make choices in our lives that support our own relationship to the element of Earth. Our choices can assist in our graceful movement through this next lunar year, and help us to find and harness our individual places of strength. The Earthly branch Xu also represents Yang Earth and is described by the celestial animal of Dog. That makes this Lunar year doubly about Yang Earth, and has the additional archetype of Dog that we can explore. Take a moment to bring an image of a dog to your mind. It might be that happy dog nose waiting to give you an energetic welcome kiss, or perhaps a fierce protector or predator. Human’s loyal companion in a cozy home, or a pack of wolves running through the forest. Either way, the dog is all about loyalty. Dogs are wise and careful, with a warm heart for those in their pack and home. The dog is associated with the Pericardium organ system from a Chinese medicine cosmological perspective. Pericardium being the heart protector, or the heart opener, is associated with the element of fire. Remember, fire generates earth- which gives hope that the energy of this year can sustainably feed itself. Xu’s position in the calendrical cycle (in the position of 7-9pm on a 24-hour clock) illustrates its energetic movement as the sun moves below the horizon during Xu’s governing hours. This inward movement of retreating from the visible is the motion of the element of metal. Metal energy descends. In the generating cycle, earth generates metal- as illustrated by earth compressing to make metals/minerals. To break it down a bit further- within this singular Xu year, we have fire generating earth generating metal. The stars following the directional flow of the earthly elements. Perhaps there will be a smoothness to the movement, changeability, and transitions throughout the course of Lunar year Wu Xu. Learning about the energetic nature of time can be an interesting endeavor, but one must remember to take into account their own constellational makeup determined by their own birthplace and time. Exploring that information a bit deeper from the Eastern Heavenly Stem and Earthly Branch method can help someone to understand their areas of strength and/or areas for growth that may call for some extra focus this year of Wu Xu. 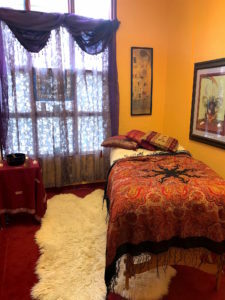 Supporting your body with foods, herbal medicine, acupuncture, bodywork, movement, and sleep can help you find your way through the new lunar year with a bit more grace and ease. 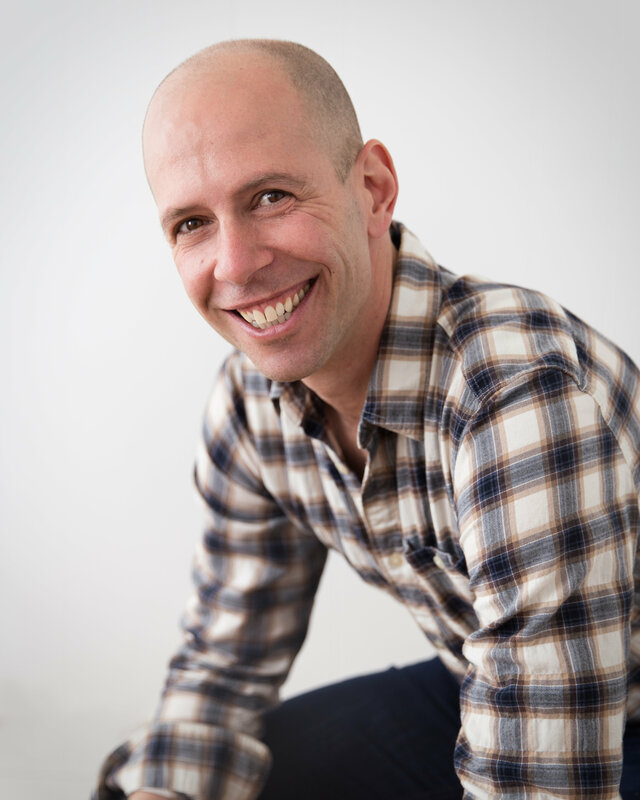 Ryan McLaughlin L.Ac., is a practitioner of classical Chinese Medicine, is dedicated to creating individualized treatments that harness and compliment the innate healing wisdom and mechanisms of the body. 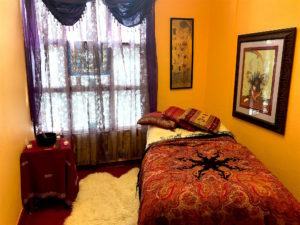 Utilizing acupuncture, bodywork, cranial sacral, shiatsu, qi gong, herbal medicine and food recommendations, Ryan gently and directly addresses underlying patterns in the body that are contributing to the myriad of symptoms that may bring a person in for care. 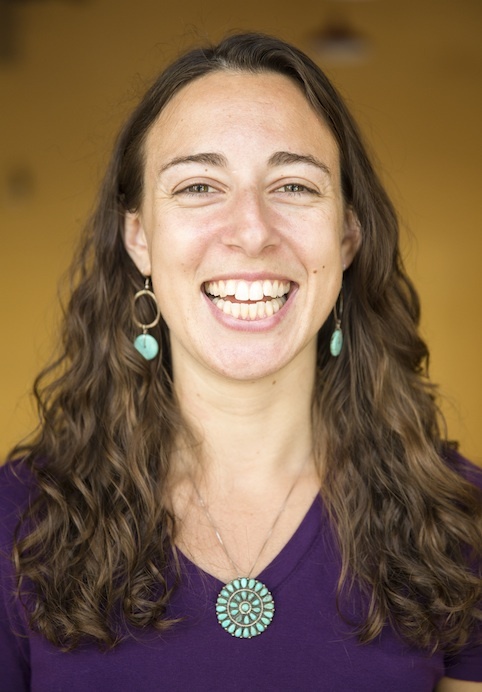 Ryan is passionate about guiding patients back into deeper connection with their bodies, community and natural world, as they find the trail back to feeling empowered to care for their own health. 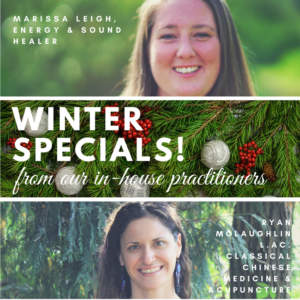 How to Keep Your New Year’s Resolutions + a free class recording for you!! A new, young client started individual sessions with me a few weeks after experiencing a series of concussions. She’s a freshman in high school and is on a leave of absence to rest her brain. After her latest concussion, her nervous system is on over-drive, and she is experiencing extreme anxiety. At times it is completely debilitating. Her physical therapist suggested she practice deep, belly breathing for five minutes every day. She hasn’t been doing it because it is too hard to focus for that long a period. Her brain just isn’t up to it yet. At our first session, I suggested she focus on one or two deep, belly breaths rather than struggling and failing for that five minute mark. That’s enough. Just one or two deep breaths. Reducing the exercise to something she can manage right now has had a huge effect. She proudly reported back that she got up to five deep breaths with full focus. Lowering the expectation made the solution accessible to her. Now she knows she can use the deep breathing when she feels anxious. Her anxiety has gone from “thinking everyone is going to kill me” to “it’s uncomfortable to be around too many people.” This is a huge success! Dialing back to what is easy and accessible at this moment allowed her to take a step forward in her healing, rather than struggling with no avail. I have been thinking about this story as an inspiration of how to face New Year’s resolutions. There are many things I would like to accomplish in 2018. How about you? Usually New Year resolutions are these big, sweeping commitments that one wants to make with oneself. Often the resolutions are so big and overwhelming they are hard to sustain or even begin. So how can you dial back your resolutions to that first approachable step? I am hoping to start swimming for exercise again. My goal is to get to the pool 4 times a week. I feel the resistance, the inertia, the struggle to get going towards my goal that I set for myself. What’s the first little step towards my goal? Get to the pool. That’s it! Just get there. My first mark of success will be getting in my bathing suit with my goggles in hand. Getting to the pool, figuring out the locker system, and dipping into the water. Yes, I imagine I will swim a few laps, but the goal is just to get there and start to acclimate to this new rhythm! As I think of my larger goal, I feel a bit of intimidation. After that initial burst of excitement wore off, I am left with the desire, but also a question of how to make a smooth, sustainable transition. How to make it work, in a way that I can maintain! 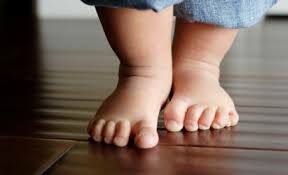 Taking things one little step at a time. Once I make that first step of checking out the scene and acclimating, I will add the next step. Getting to the pool, ready to swim, and doing two laps of each of my four favorite strokes: front crawl, breast stroke, back stroke, and side stroke (right and left sides). 10 laps – start with just 10 laps. I am choosing an amount that easy for me because I want to start out without struggling and allow my curiosity and inner desire to be the guide. I will build as I feel my engagement and endurance towards swimming increases. The trick is to create new habits by making small steps towards your goal. Slowly building in an accessible way that allows time for your brain to make new synapses and build strength with the new habit over time. 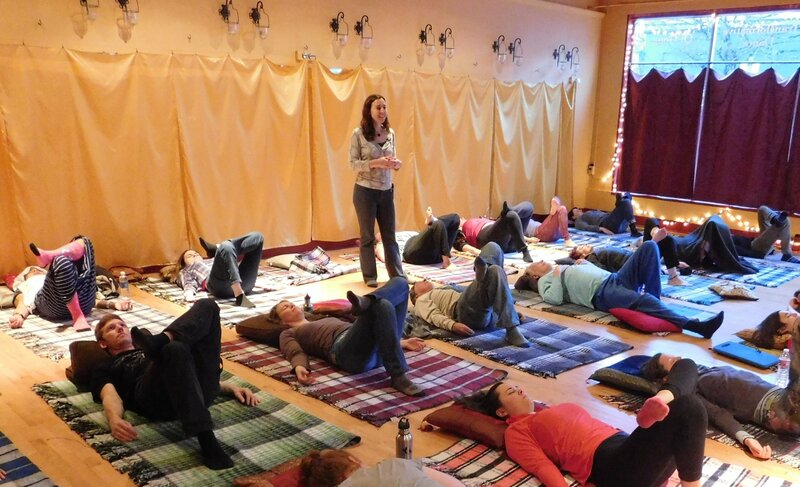 This is also how the Feldenkrais group classes work! It is a physical practice of how to break down a tangible movement pattern, like turning, into simple steps that gives time for your brain and nervous system to integrate new information, strengthening the neural pathways that can provide you with easy, comfortable movement. Class will also teach you how to build new habits in sustainable ways, that harness the power of your nervous system and brain, making integration not only possible, but simple! Want to experience what I’m talking about for yourself? Right in the comfort of your home? Well, pull up a blanket, lay down and push play on the linked recording below. Try this free class recording and find out what it feels like to make small, slow steps that build into a new way of being in movement. This is the live recording from the free introductory class last week, and I am offering it to you as a gift and an inspiration! This is a tangible way to feel how baby steps can make big changes and the power of doing bite-size steps that your nervous system can really take in, make sense of, and integrate into lasting relief! 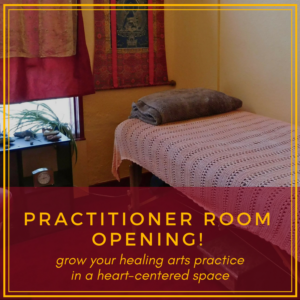 This class is for the movement curious, anyone who is ready to expand your ability to feel and know yourself, while feeling more comfortably in your body. With slow, gentle, subtle movement, you will discover a profound realm, where you can change the neural pathways of your brain to have more flexible, fluid, and energy-efficient patterns. Step outside through the lens of this winter season’s artist highlight, Ray Phung Photography! Our Nature is the concept of his photographic ensemble gracing the walls of SomaSpace. 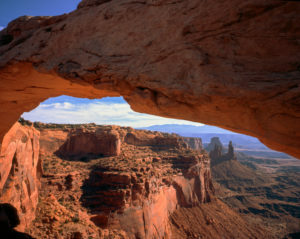 Our Nature is series of landscape photographs taken in the American West by photographer Ray Phung. Each photograph is paired with quote, poem, song, or thought from various poets, conservationists, environmentalist, creators, explorers, and lovers of the outdoors. Our Nature is dedicated to these powerful moments that nature provides, and hopes to inspire a sense of responsibility to preserve them for generations to come. “A harsh hot wind makes creases around my eyes as I struggle to focus the lens. A desolate wasteland, where the struggle for life and survival continues. And in this moment, I am the desert. The heart a desert tower, standing as a sentinel. Its age and stories exposed in layers of sediment and stone. Yet it evolves. Wind and rain shapes its sheer face, fractures it to the core, then turns to dust. The mind a jackrabbit, racing across the dusty plateau, gracefully weaving through thorns and cacti. A prey to many. Yet he survives. An expert of the land, always watchful and cautious. Agile and resilient. The soul a soft pink light, gloriously glowing across the landscape as the first light touches an infinite expanse. The dark crevasses become illuminated. A delicate beauty, constantly developing as darkness turns to light. Ray Phung is a photographer based in Portland, Oregon, focusing primarily on landscape and adventure photography. 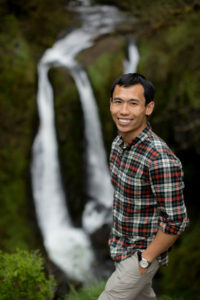 His passions in various activities like rock climbing, hiking, and backpacking takes him to very remote and very beautiful locations across the globe. Ray’s exploration has also instilled a passion for conservation, environmental protection, land use, and access issues that are endangering the places that he loves. 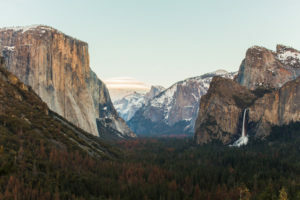 Working both in digital and film photographs, Ray hopes to share the breathtaking beauty that is out there, as well as to inspire others to fight for the preservation of sacred places and confront the pressing issues facing the environment.